van Staaveren, Jacob. 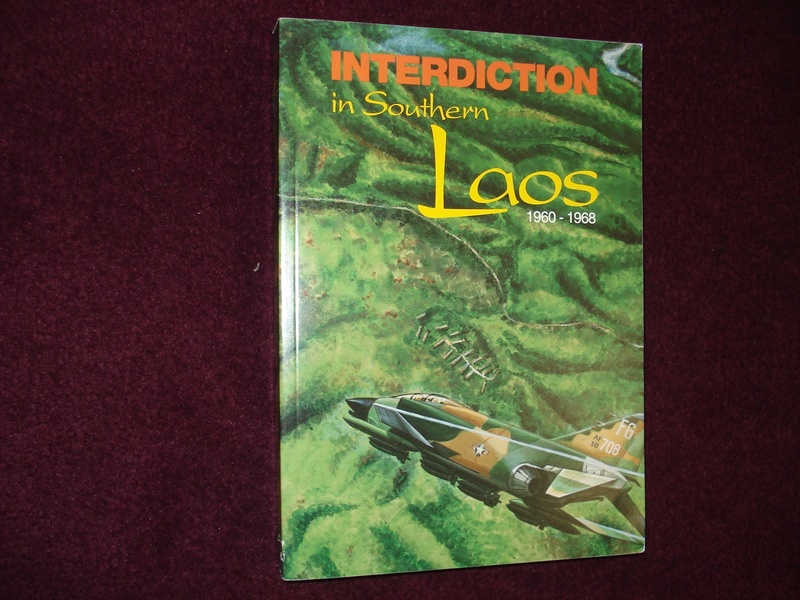 Interdiction in Southern Laos. 1960-1968. Photo available. Washington. Center for Air Force History. 1993. Octavo. Soft cover. First edition. Illustrated in black, white and color. Fine copy. Vanags-Baginskis, Alex. Aggressors. Volume 1. 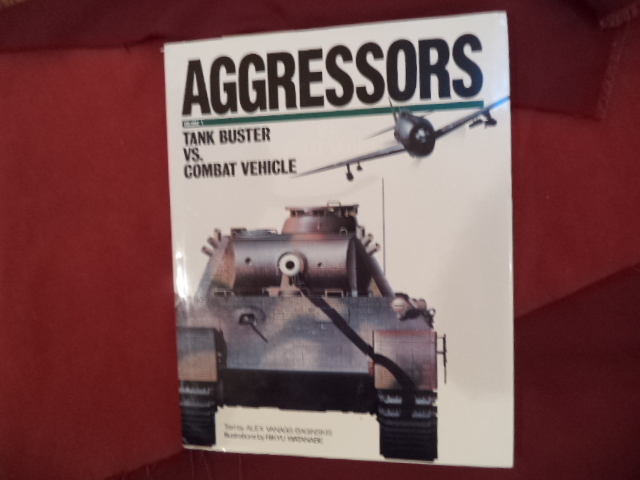 Tank Buster vs. Combat Vehicle. Photo available. New York. Zoheisha. 1990. 68 pps. Folio. Decorated hard cover. First edition. Illustrated in black, white and color. Folding plates. Important reference work. Fine copy in fine dust jacket (in mylar). Vanags-Baginskis, Alex. 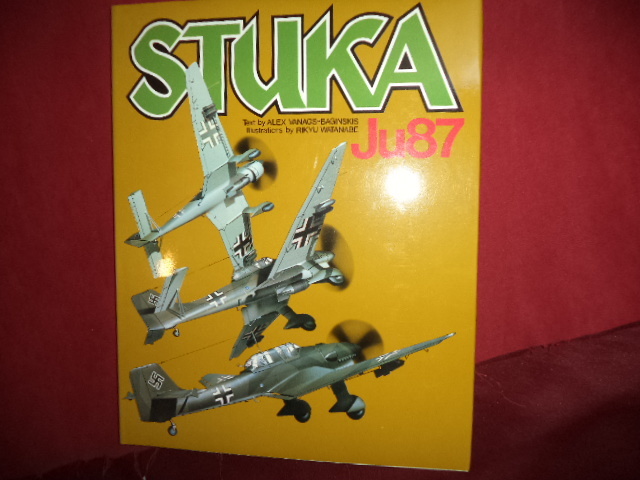 Stuka Ju87. Photo available. New York. Crown Pub. 1981. 82 pps. 4to. Hardcover. First edition. Illustrated in black, white and color by Rikyu Watanabe. Folding plates. Fine copy in fine dust jacket (in mylar). Vaughan, Hal. Doctor to the Resistance. The Heroic True Story of an American Surgeon and His Family in Occupied Paris. Photo available. Washington. Potomac. 2004. Octavo. Soft cover. First edition. Illustrated. Fine copy (remainder mark, bottom edge). Vaughan-Thomas, Wynford. Anzio. Photo available. London. Longmans, Green and Co. 1961. 243 pps. Octavo. Hardcover. First edition, second printing. Illustrated. Important reference work. Fine copy in near fine (very light shelf wear) dust jacket (in mylar). Vaughn, Edwin Campion. Some Desperate Glory. The World War I Diary of a British Officer. New York. Simon and Schuster. 1989. Octavo. Soft cover. Reprint. Fine copy (owner blind stamp). Vause, Jordan. U-Boat Ace. The Story of Wolfgang Luth. Photo available. Annapolis. Naval Institute Press. 1990. Octavo. Hard cover. First edition. Illustrated. Fine copy in fine dust jacket (in mylar). Venter, Al J. The Chopper Boys. Inscribed by the author. 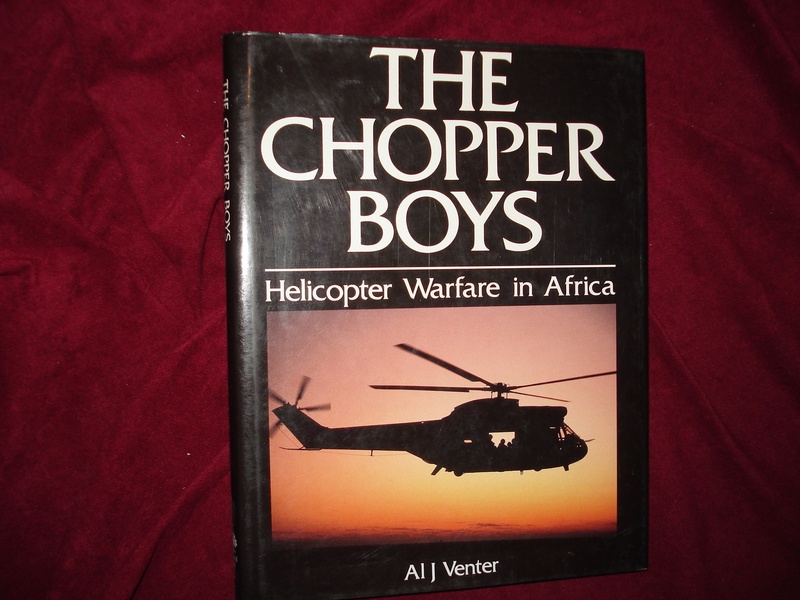 Helicopter Warfare in Africa. Photo available. London. Greenhill. 1994. 4to. Hard cover. First edition. Illustrated in black, white and color. Fine copy in fine dust jacket (in mylar). Vetohkin, Yuri. Inclined to Escape. np. Self published. 1986. Octavo. Hard cover. Second edition. Illustrated. Fine copy (owner blind stamp) in fine dust jacket (in mylar). Vidal, Gore. Lincoln. A Novel. Photo available. New York. Random House. 1984. 662 pps. Octavo. Hardcover. Reprint. Fine copy in fine dust jacket (in mylar). Vidal, Gore. Lincoln. A Novel. Photo available. New York. Random House. 1984. 662 pps. Octavo. Hardcover. Stated first edition. Important reference work. Fine copy in fine dust jacket (in mylar). Vilensky, Simeon - ed. Till My Tale is Told. Women's Memoirs of the Gulag. Photo available. Bloomington. Indiana University Press. 1999. 358 pps. Octavo. Hardcover. First edition. Fine copy in fine dust jacket (in mylar). Villiers, Alan. 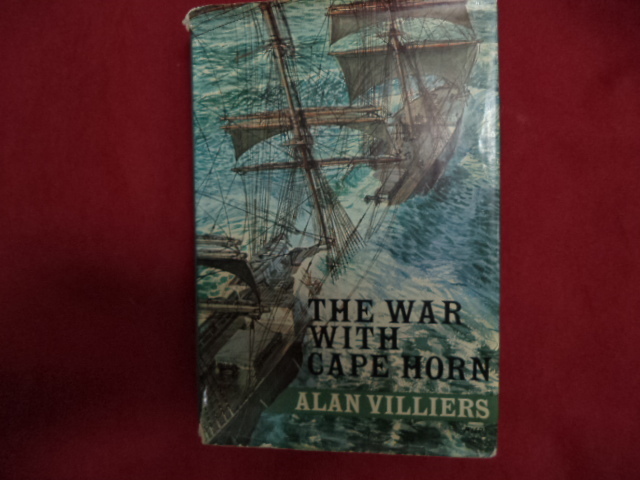 The War with Cape Horn. Photo available. New York. Charles Scribners. 1971. 338 pps. Octavo. Hardcover. First edition (A). Illustrated. Important reference work. Fine copy in very good (light shelf wear) dust jacket (in mylar). Viotti, Andrea. 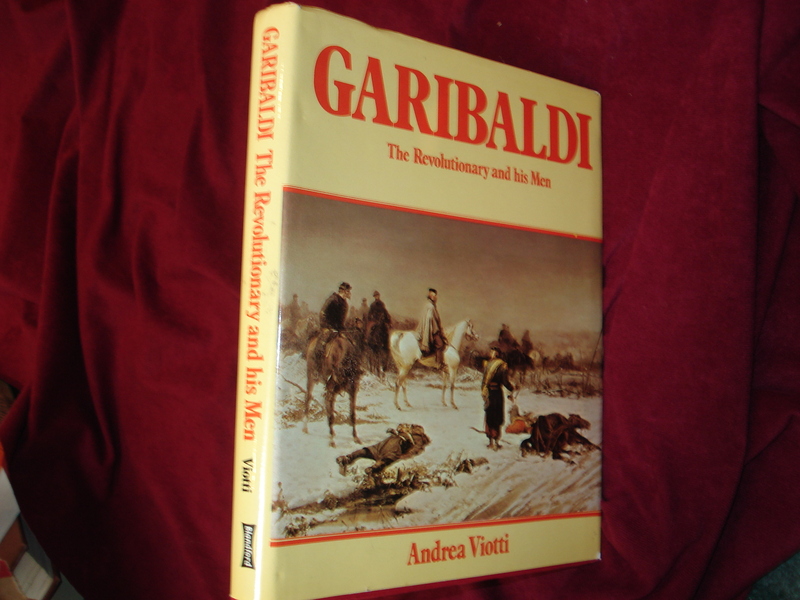 Garibaldi. The Revolutionary and his Men. Photo available. London. Blandford. 1979. Octavo. Hard cover. First edition. Illustrated. Fine (owner inscription on end paper) copy in fine dust jacket (in mylar). Visconage, Lieutenant Colonel Michael. USMCR. 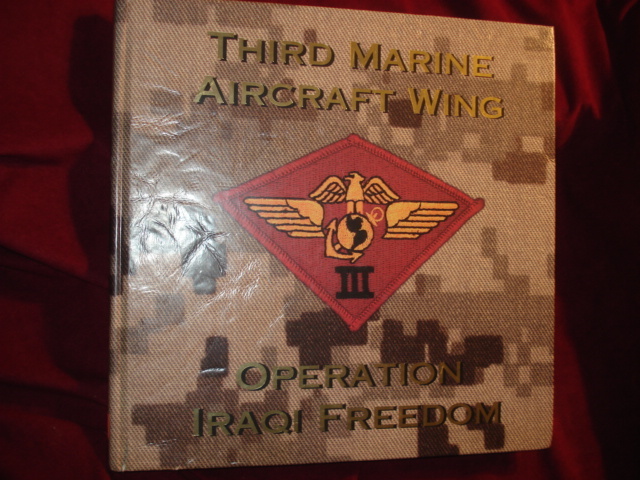 Third Marine Aircraft Wing. Operation Iraqi Freedom. Photo available. np. Marine Corps Association. 2004. 4to. Decorated hard cover. First edition. Illustrated in black, white and color. Fine copy. Volkman, Ernest. A Legacy of Hate. Anti-Semitism in America. New York. Franklin Watts. 1982. 357 pps. Octavo. Hardcover. First edition. Fine copy in near fine dust jacket (in mylar). von Below, Nicolaus. At Hitler's Side. 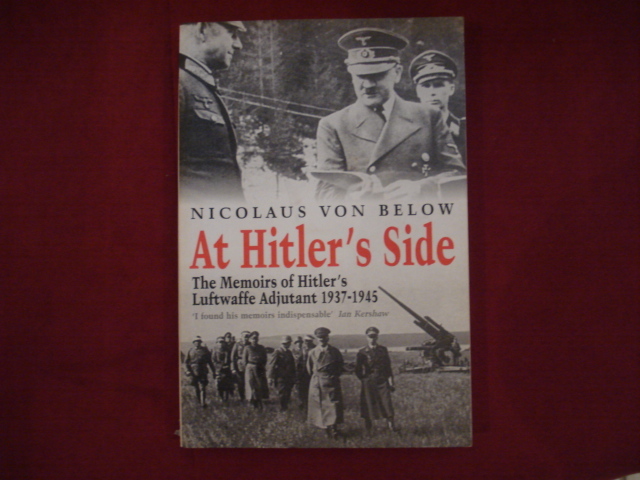 The Memoirs of Hitler's Luftwaffe Adjutant. 1937-1945. Photo available. London. Greenhill. 2001. Octavo. Soft cover. Illustrated. Fine copy. von Clausewitz, Carl & Anatol Rapoport (ed). Clausewitz on War. Photo available. London. Penguin. 1968. 461 pps. Octavo. Hardcover. Reprint. Important reference work. Fine copy in near fine (very light shelf wear) dust jacket (in mylar). von Clausewitz, Carl. Clausewitz on War. London. Penguin. 1983. Octavo. Soft cover. Reprint. Fine copy (owner blind stamp). von Clausewitz, Carl. 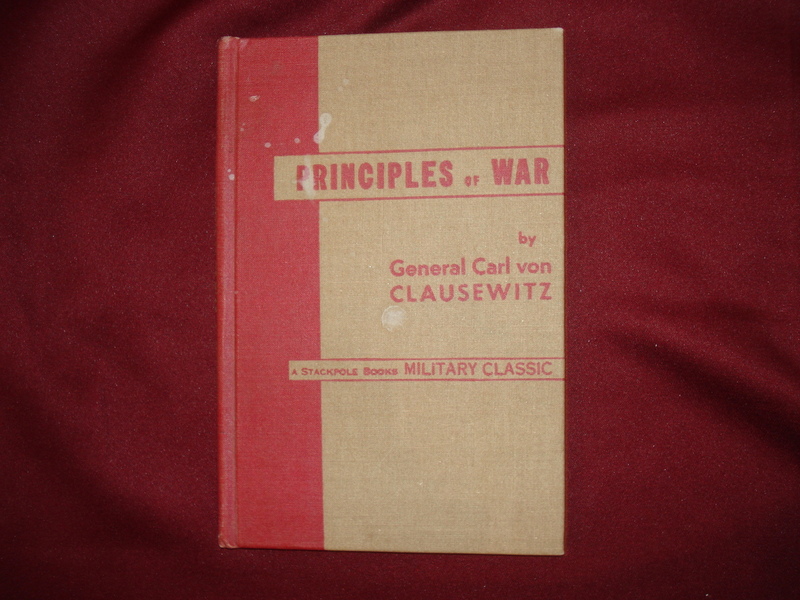 Principles of War. Photo available. Harrisburg. Stackpole Company. 1960. Octavo. Hard cover. Reprint. Illustrated. Fine copy (several small spots on front cover). 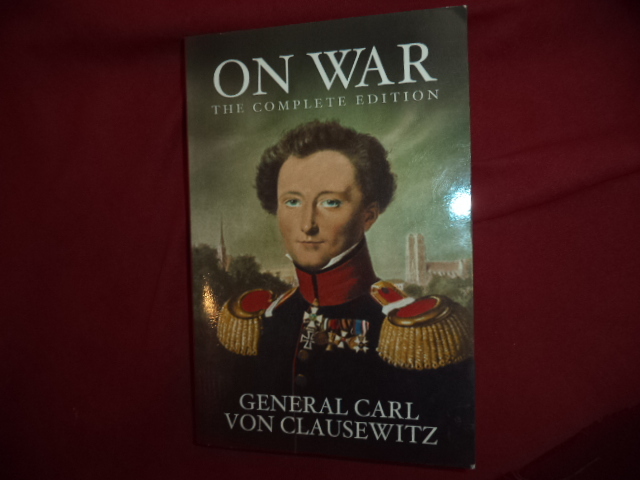 von Clausewitz, General Carl. On War. The Complete Edition. Photo available. Breinigsville. Wildside Press. 2009. 447 pps. Octavo. Soft cover. First edition thus. Important reference work. Fine copy. von Einsiedel, Heinrich Graf. The Onslaught. The German Drive to Stalingrad. New York. W.W. Norton. 1984. 4to. Hard cover. First edition. Illustrated in black, white and color. Fine copy (owner blind stamp). von Generalfeldmarschall Rommel. Balkenkreuz Uber Wustensand. Farbbilderwerk von Deutschen Afrikakorps. Herausgegeben von Einer Luftwaffen-Kriegsberichter-Kompanie. Photo available. Oldenburg. Gerhard Stalling Verlag. 1943. Octavo. Hardcover. First edition. Illustrated in black, white and color. Near fine copy (very light shelf wear, small piece missing from bottom of spine, some taping on interior). von Herwarth, Hans. Against Two Evils. The Extraordinary Account of a German Diplomat Soldier's Struggle Against Stalin and Hitler During the Third Reich. New York. Rawson, Wade Pub. 1981. Octavo. Hard cover. First edition. Fine copy (owner blind stamp, name) in fine dust jacket (in mylar).